We are gearing up for the final show of our 2010-11 season – a sure-to-be exciting taping in Katonah, New York on June 26 at 4:30pm! About an hour north of New York City, Katonah is a beautiful, village-like community. We’ll be taping at the Venetian Theater at the Caramoor Center for Music and the Arts. 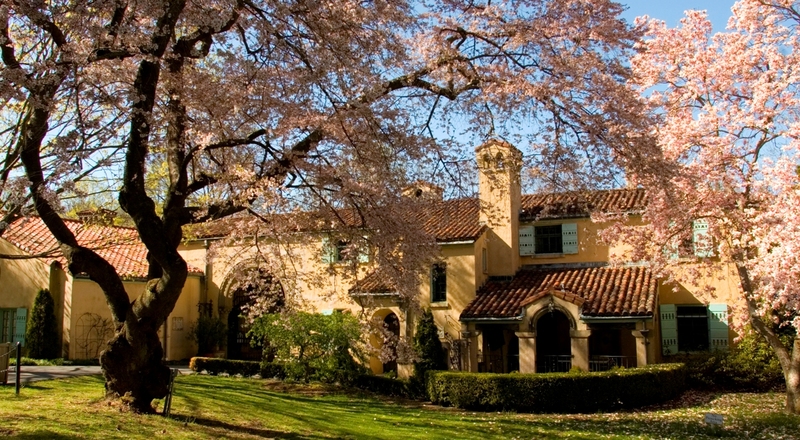 A “Mediterranean-style villa” built between 1929 and 1939, the Caramoor Center was designated for music and the arts by the Rosen family in 1945. Check out the picture below – not only is Caramoor a prominent historic and artistic landmark, it’s really pretty! We are looking forward to featuring a fantastic group of performers on this show. Our line-up includes musicians ranging from the remarkable 10-year-old cellist and Jack Kent Cooke Young Artist Sujari Britt from NYC, to the Malik String Quartet, a Minnesota-based ensemble comprised of four teenagers. This diverse group of instrumentalists will feature three other New Yorkers: Jack Kent Cooke Young Artist Eric Segerstrom, a 17-year-old composer and percussionist who will perform the Allegro Con Fuoco from Eric Ewazen’s Concerto for Marimba & String Orchestra; Jacquelyn Nakamura, a 17-year-old flutist from Huntington, who will play a work by Copland; and Kyung-A Lee, a 15-year-old pianist from Westbury. Click here to see the full repertoire. A few of these performers have distinguished themselves in ways that extend to a broader musical community: Eric is the proud composer of From the Catacombs, a work that was performed by the New York Philharmonic under Music Director Alan Gilbert! He was also the featured marimba soloist on that performance. Young Sujari was single-handedly picked by Michelle Obama to showcase her talents to President Obama and members of Congress at the White House. She was joined by 27-year-old cellist Alisa Weilerstein to perform the first movement of Luigi Boccherini’s Sonata for Two Cellos in C Major. Click here to read more about Sujari and watch her video interview. This will be a fabulous show, and we hope you’ll join us to close out the 2010-11 season in style! You can purchase tickets on Caramoor’s website.